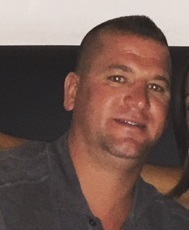 Boardman - Jared J. Strines, 36, died Sunday evening, August 26, 2018 at St. Elizabeth Health Center, surrounded by family and friends, after sustaining injuries in an ATV accident. Jared was born August 16, 1982 in Youngstown, a son of Raymond Strines and Sandra Jacob Fellows. A lifelong resident of Boardman, Jared was a 2001 graduate of Boardman High School. During his years at Boardman High School, Jared wore jersey number 30 for the Spartans football team, holding the second highest record for sacks as an inside linebacker. Jared and his teammates made it to the Regionals in the fall of 99' and were the SVC Champions in 2000. During high school, Jared began working for Nemenz IGA grocery store in Struthers, a position he held until 2004. He later began working for CCA Correctional Facility as a correctional officer, until recently taking a position with Compco Industries last January. Jared had a great love for the outdoors, enjoying hunting, fishing, boating, and many other outdoor sports throughout his life. He was a member of the Mahoning Sportman's Association. Jared's friendly and fun loving personality made it easy for him to make friends and he held many lifelong friendships that meant the world to him. He will forever be remembered for his easy-going and relaxed attitude, infectious laughter, and giving ways. Jared is survived by his mother and step-father, Sandra and Ray Fellows of New Springfield; his father, Raymond (Marlene) Strines of Liberty; his wife and best friend, the former Lisa M. Glozer, whom he married August 3, 2015; two daughters, Bella, age 14, Ava, age 2, and his unborn child whom Jared was so excited to meet in the Spring; three brothers, Dustin (Lyndsey) Strines of Boardman, Rendin (Kayla) Fellows of New Springfield, and Koby Fellows of New Springfield; a sister, Kaitlyn Strines of Struthers; grandmother, Eleanor Strines of Struthers; grandparents, Ralph and Ruth Fellows of New Springfield; his father and mother-in-law, Dan and Kathy Glozer of Poland; sister-in-law, Jennifer (Jeff) Mihok of Boardman; nieces and nephews, Gaven, Blaine, and Tori Strines, Rae Fellows, and Lexxi, Abbi, and Zachary Mihok; and he will be missed by many aunts, uncles, and cousins. A Mass of Christian Burial will be held on Saturday at 10:30 a.m. at St. Luke Catholic Church, 5235 South Ave., with Fr. John Keehner officiating. Family and friends will be received on Friday from 4-7 p.m. at the Davis-Becker Funeral Home, 8536 Market St., Boardman and Saturday from 9:30-10 a.m. at the church.